Henri Champliau is a family home located in Mercurey, heart of the Côte Chalonnaise in Burgundy. Founded by Alexandre GRAFFARD, grandson of Henri Champliau, they offer Crémant de Bourgogne, made from traditional methods from noble grape varieties, Pinot Noir & Chardonnay and a range 'Signatures' with the same quality requirement specific to the house. The method of preparation is called 'Ancestral' and yet it gives a very 'modern' wine because semi-dry low alcohol and 100% natural! Made using horizontal vats that promote contact with the lees of the grapes. The difference here is that the temperature of the tank is dropped during alcoholic fermentation, to stop it at 7.5% alcohol. Secondary fermentation and settling lasts 3 months. The sensation of weight is 100% natural because it comes only from the residual sugar of the grape, no liquor has been added! 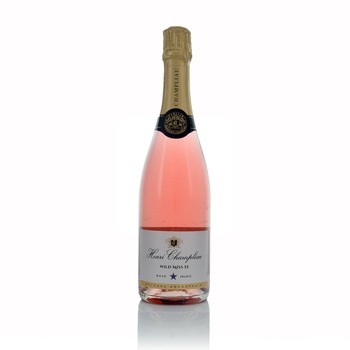 Tasting note: A rosé color, a fine and very dense mousse, notes of raspberry and cherry. Made using the grape Gamay, known for its aromatic power, which lends itself perfectly to this method of elaboration. Delicious by itself, or ideal with a summer fruit based dessert.